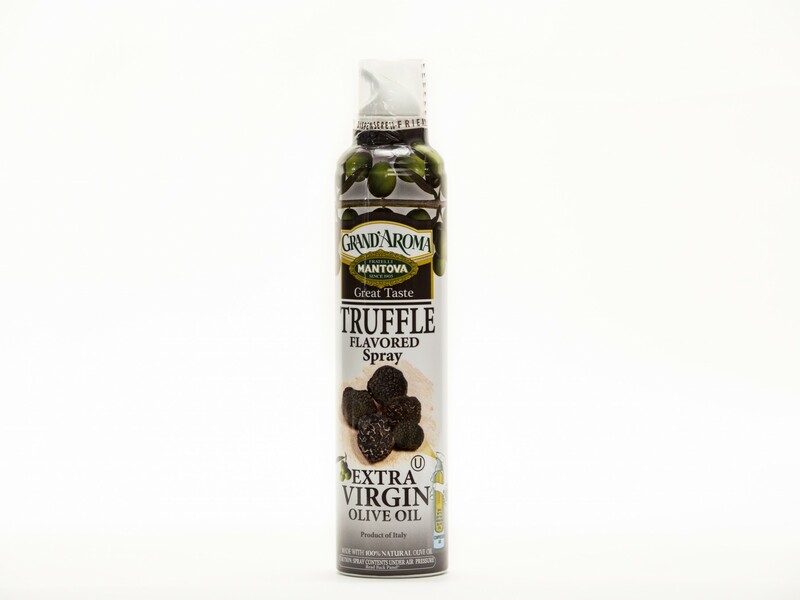 100%-Natural Spray Extra Virgin Olive Oil. These olive oils are in convenient spray bottles that are designed to perfectly preserve the taste, aroma, and healthful attributes of the olive oil. The revolutionary "bag-in-valve" system allows the oil to be atomized without the use of chemicals, additives or emulsifying agents. The pressurized can encloses a little bag containing the EVOO. When the spray nozzle is pressed the compressed air squeezes the bag inwards forcing the oil out in a gentle, even mist, all while protecting the oil inside from contact with air. Excellent for grilling, roasting, baking, sautéing and salads. Bottles have triple action, you may spray, drip or stream. A 3-second spray is equivalent to 1 teaspoon of oil.